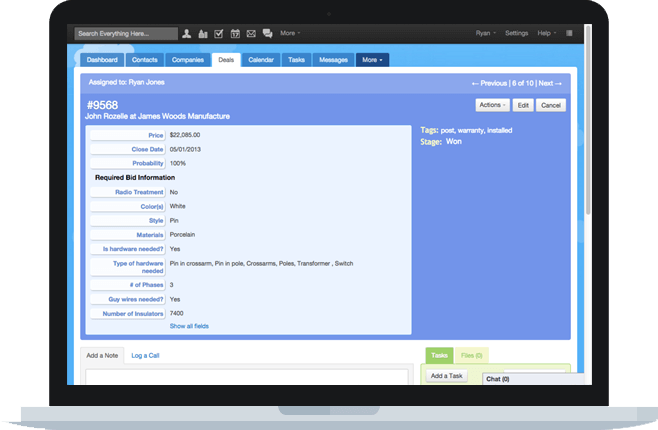 A user experience that is custom-tailored to your daily workflows and needs. Personalize your windows, screens, tabs, labels, fields, and even your background colors. 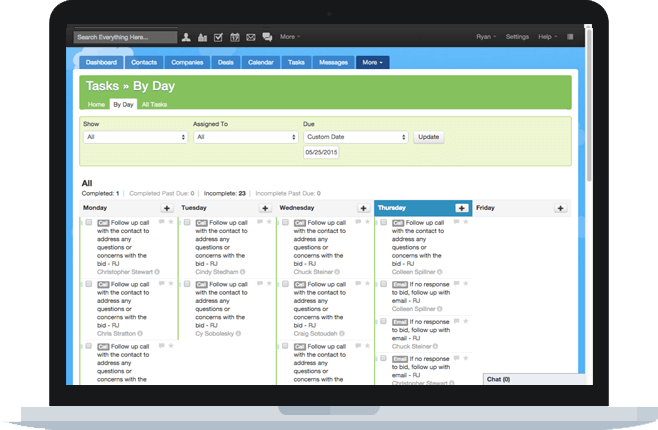 Streamline your daily activities and free up time to build better customer relationships. Stay close to your customers and be more proactive and responsive. Increase your efficiency and optimize your workflows with convenient productivity tools. 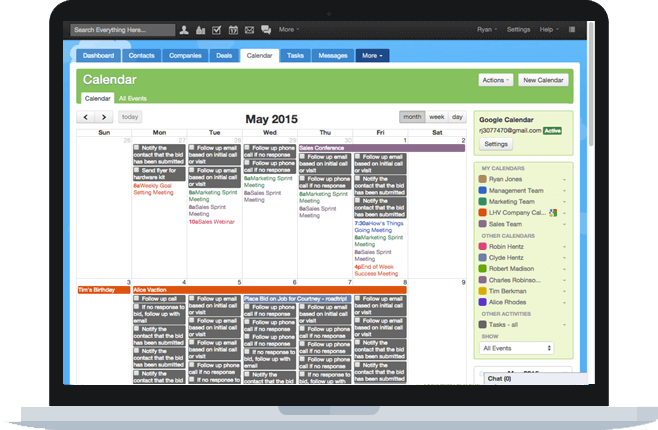 Manage all of your tasks, contacts, and customers with ease. 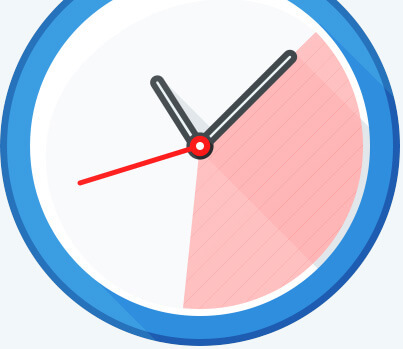 What Would You Do With 40% More Time? FACT: The average karmaCRM customer achieves 40% greater efficiency1. Boosting your efficiency by 40% allows you to get more things done and leaves you with more time to interact with customers, build relationships, close more deals, and grow your business. Or maybe you’d prefer to invest that extra time on strategic planning, new product development, or achieving a greater work/life balance. Whatever you do with your additional time, karmaCRM is here to help you have more of it available! 1 February 2015 survey of karmaCRM customers. Some customers reported efficiency improvements of as high as 75%! I adore karmaCRM and am constantly telling people about it. It’s a great solution for any size business with a set of wonderful people to support you! I’ve used it for over four years as my business has grown internationally and it’s easily scaled with us! I started to use karmaCRM when it was still in Beta mode. When I was establishing my consultancy, I did a fairly detailed comparative analysis and Karma came out best. I haven’t regretted it at all. It is perfectly tailored to my needs, is extremely intuitive and the customer service is excellent. We recently have become a Karma user and the system has been fantastic for us. The ease of use, the ability to import information from many other platforms, and the capability of Karma to be customized to our specific needs has been great. While those features have helped us to manage our business more effectively, the service we have been provided has been even better. As a new user, we have questions and that is where the support group has shined for us. Karma is the right system for us. Karma has simplified our life when it comes to managing current and potential clients. 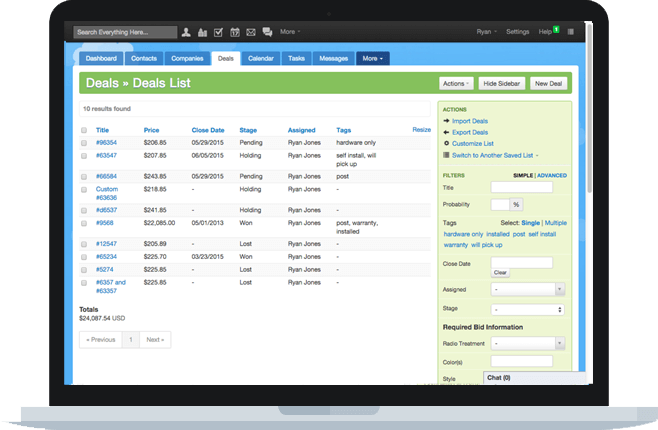 We were using one of the larger CRM’s on the market for the past 2 years before making the switch to Karma. I can tell you now, we have cut our administrative time. Ready to build some good karma? KarmaCRM helps you build good karma with your customers by giving you a personalized and efficient way to manage your information and workflows so you can take the right actions, at the right time, to build good relationships and achieve optimal results.